Ximity has made their mark catering to the growing expectations of modern event goers. By adding proximity to otherwise “okay” consumer-facing industries, they’re supporting navigation, push notifications, and everything else visitors need to have a good time. Plus, their data generation helps managers support staff, companies, and visitors all at once. Now, they’re shifting to integrate all new products and use cases into their portfolio and break into a number of new verticals including education, warehousing, and office management. Event Managers have a large toolkit of technologies at their disposal. While the industry had been doing okay for years, it was clear to Ximity that changes were on the way. The “okay” market was in need of a shake-up. It had been a long time since any drastic changes had occurred. Ximity looked further, realizing that the industry would need active, location-relevant opportunities and data collection in the future. In a field like event management, location and accurately timed information had always been key, and the current offerings were simply not catching up with the times. Ximity came together knowing that Bluetooth beacons and proximity data would be a widespread phenomena in the coming years of event management. It would take them several tests to get comfortable with the technology, but they managed to leverage Kontakt.io’s knowledge and educational content to get a complete grasp on the technology. 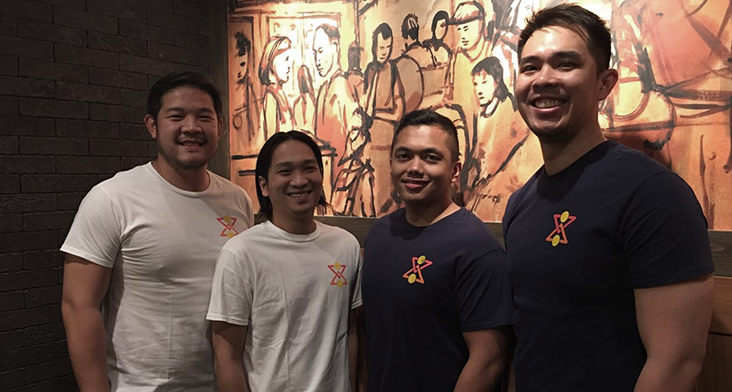 After several iterations and rounds of feedback, they completed their first large-scale deployment, covering a 70,000 square meter space in Manila. This and subsequent projects have been so successful, Ximity is now able to transfer their expertise into other fields. The Philippine International Convention Center once made headlines as the county’s first international conventional center. Now, the iconic center spans 70,000 square meters and hosts countless events including shows, summits, and more. Ximity installed 100 beacons to cater to over the event’s 2,000 attendees. Their app included indoor navigation and proximity notifications, sending everything from artwork to sponsored ads and gamifying the experience. Most importantly, when analyzing their results, Ximity found proof that users loved their app. According to Statista, users spend an average of 5 minutes in a media and entertainment app. Ximity’s app users’ would spend 7 minutes on the app, putting them closer to the “games” category. This meant not only more impressions on their Point-of-Interest discovery, it meant their expectation that proximity information would transform the event experience was spot on.